ITSA helps provide students with the learning resources needed to complete the study students undertake. ITSA has bookshop on 21 TAFE campuses across 5 Institutes, and has an online ordering system for a number of our campuses. www.itsashop.org.au is the place you can order some book titles or free call 1800 882 931 to order over the phone. Here is a selection of popular textbooks sold through ITSA. The new edition of Basic Building and Construction Skills: Carpentry & Other General Construction Trades provides learners with the fundamental skills and basic knowledge for the building and construction industry. It has been fully updated to reflect present-day building practices. 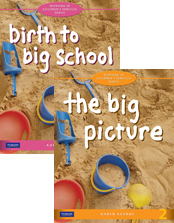 Birth to Big School 2nd edition, is written to support delivery of units in the Certificate III in Children’s Services. The text focuses on development in early and middle childhood. Written to support delivery of units in the Certificate III in Children’s Services from CHC08, this text provides a solid introduction to working in children’s services. Management: theory and practice, 4e gives those studying to be managers the practical information and theoretical understanding they need to succeed as a manager. This text presents management theory in a context and language that makes them easier to understand and put into practice. Electrical Principles for the Electrical Trades 6th edition Building on the classic 5th edition, this text provides students with the fundamental knowledge needed for a future career in the electrical trades. The text features concise and informative full-colour illustrations which create an engaging and effective learning tool for Australian students. Teachers re-evaluate equipment and textbook list every semester, wait until your teacher provides their requirements list.